Most homeowners understand that there are maintenance tasks that must be performed regularly in order to maintain a functional home and get the greatest use value out of components. The typical homeowner annual checklist consists of things like cleaning rain gutters, flushing the water heater, and of course, servicing HVAC equipment. You probably know that the best option when it comes to HVAC maintenance is to schedule visits by a trained technician in spring to check the AC unit and in fall to check the furnace. This ensures that your HVAC system remains clean and in good repair year-round. What you might not know, however, is how often you need to have filters in your HVAC system changed. Here are just a few things you should know about changing filters for optimal function. How Often Should HVAC Air Filters be Changed? The truth about changing air filters is that the frequency can vary widely and it may depend on a number of factors. For example, your usage habits play a key role. 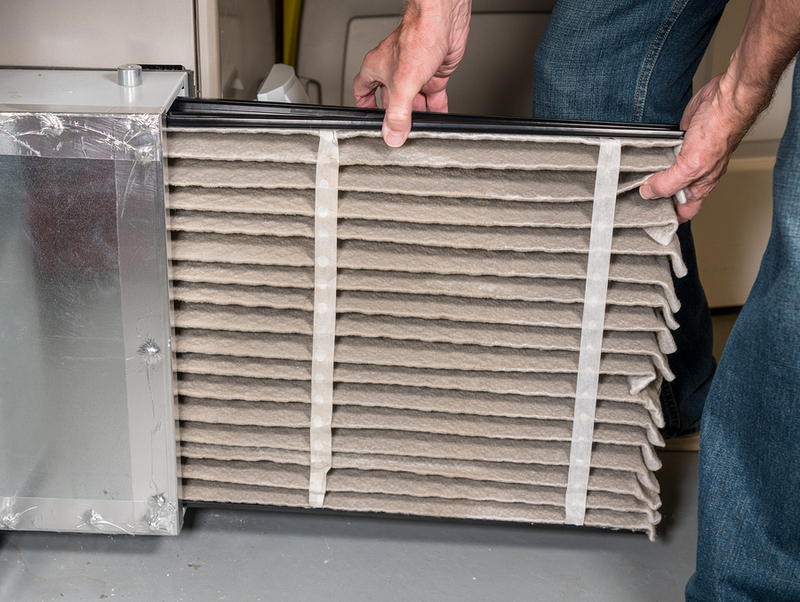 The more you run your HVAC, the more often you should replace filters. A home that uses HVAC sparingly may only require new filters once or twice a year. This is especially true if the home has no pets and few people. Filters are designed to trap dust, dander, and other particulates that float through the air in your home. This not only stops this airborne detritus from fouling up your HVAC equipment, but also from being pushed back into your living spaces. Homes with a lot of people and pets will obviously need to replace filters more often, and of course, it also depends on the type of filter you use. As a general rule of thumb, most filter manufacturers recommend changing them every 90 days, but your best bet is to have your HVAC technician check for fouling and make a recommendation for your home. What HVAC Filter Should I Use? The HVAC filter you choose will depend on a couple of factors. Cost is always a relevant factor, but if a higher-end filter lasts longer, you might actually save money in the long run by paying more up-front. The other major consideration is allergies. If you or others in your home suffer from common allergies to dust, dander, or other airborne particulates, having an appropriate filter in your HVAC system, such as a HEPA filter, can significantly cut down on specific allergens in order to make your home more comfortable. Where is Your HVAC Filter? The location of filters varies by system, but they’re most frequently found in the return air duct or blower compartment. It’s always best to have a trained technician replace your filter, but if you need to do it between services, simply ask your technician to show you how and tell you which filter to use. Need HVAC maintenance in the Santa Clarita, Antelope Valley, or San Fernando Valley area? Give us a call today to get scheduled. Or if you know already you might need air conditioner repairs, please give us a call and our expert technicians will help get it running great again.